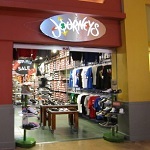 Employees of a US Journeys shoe shop in Rochester, New York, apparently walked out in the middle of a recent workday and left an angry note posted to the store gate after they locked up. It appears the dramatic walk-out was triggered by the district manager (Jamie) telling an employee that “cancer is not an excuse” along with other abusive treatment of staff. 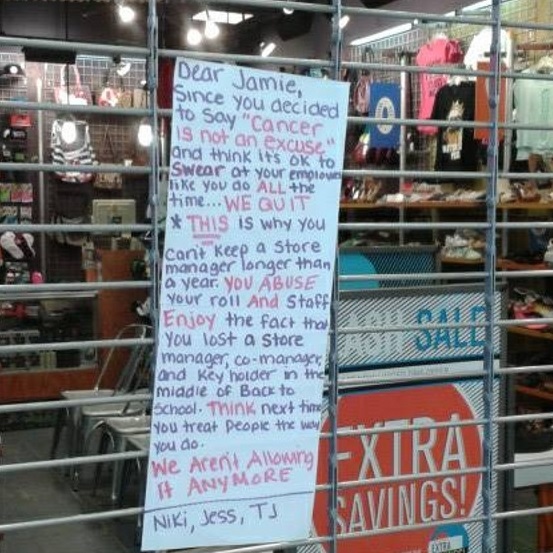 The farewell note has been doing the rounds on Reddit with many readers posting negative feedback about the working environment at Journeys.